We provide a range of marquees with a high quality full colour print, available on all roof, valance and wall panels for a complete personalisation of your new marquee. *Prices include basic artwork design. GST is additional. Wall panels will be additional. 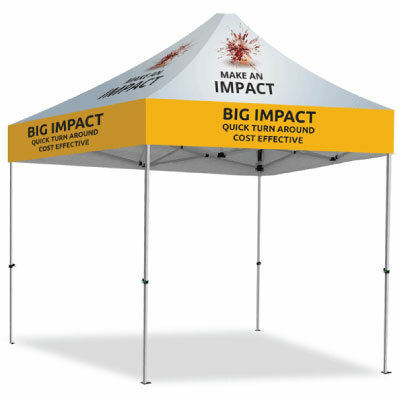 Pricing includes printed roof (4 panels). Prices include all decoration as specified but are + GST. Delivery, if required, is extra and charged at cost. Larger quantities are available, please contact us for our best prices. Above prices assume artwork will be supplied in correct format.